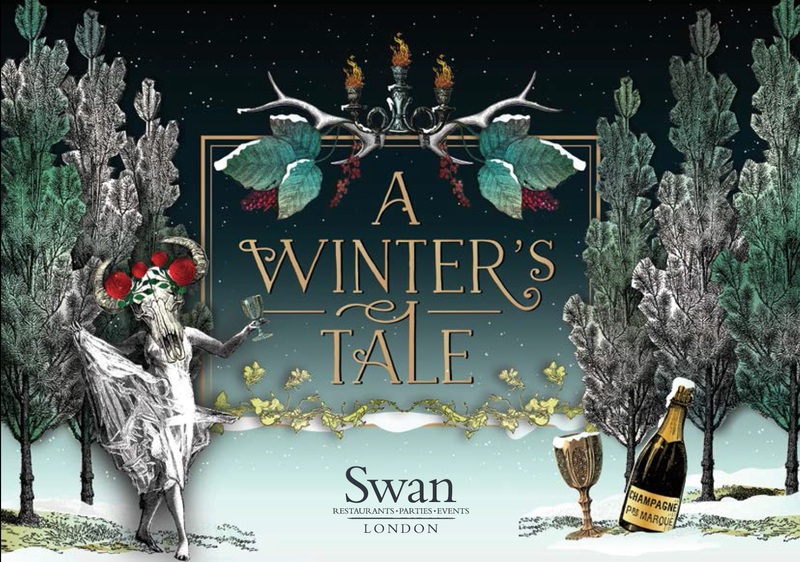 We are delighted to announce that our theme for Christmas in the Underglobe 2019 is A Winter’s Tale. The Underglobe will be transformed into a magnificent midwinter’s forest, with frosted trees, blazing red berries, trailing ivy and and gently tumbling snow. With an exclusive riverside entrance on London’s Bankside,The Underglobe an impressive and versatile venue that is situated directly beneath the Globe theatre itself, and is ideal for large-scale celebrations and parties of up to 450 people. With a private mezzanine for the arrival drinks reception, guests will then make their way down a sweeping staircase into a night of sparkling festivities and otherworldly delights. We pride ourselves in providing restaurant-quality food to our events. From delicious bowls and decadent dessert stations to sumptuous seasonal dining, all our food is prepared and delivered from our in-house kitchens. And our free-flowing drinks packages (which are included as standard in all our Christmas packages) are guaranteed to get the party started! Get in touch with Kayleigh or Elodie to discuss your Christmas party today, or visit our dedicated page to view our sample menus and full package details.